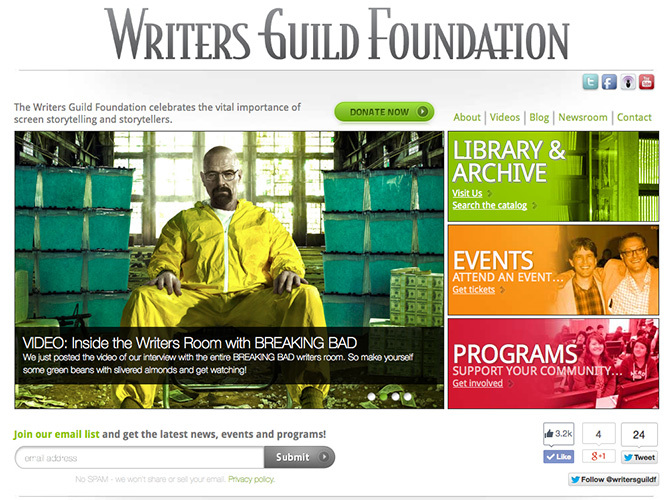 The Writers Guild Foundation has the largest, open to the public, library of screenplays and film artifacts. 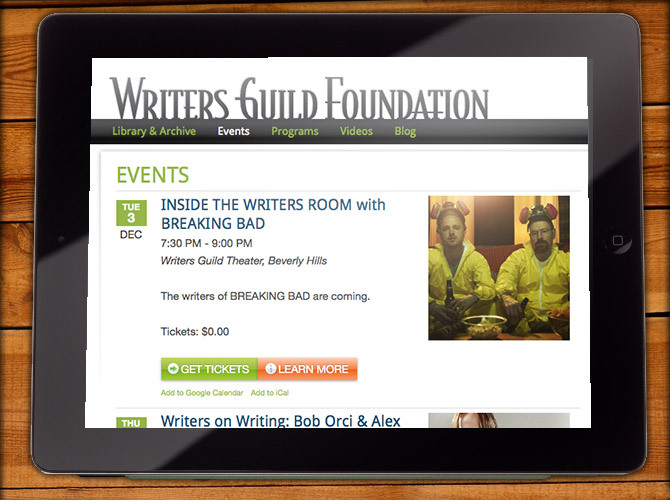 They also host popular craft-building seminars for writers – both in person and on the web. – an Events section which allows for easy online registration and automatically archives each event into the Videos section of the website, converting the online link to a video link for post-viewing. – an unique application for viewing Archival Exhibits of scripts, photos and handwritten notes stored at the library. The Foundation’s archivist is able to organize materials into online exhibits that can be viewed at full screen to create an immersive experience. – an Annual Holiday Fundraising page which allows users to view various auction items and bid. 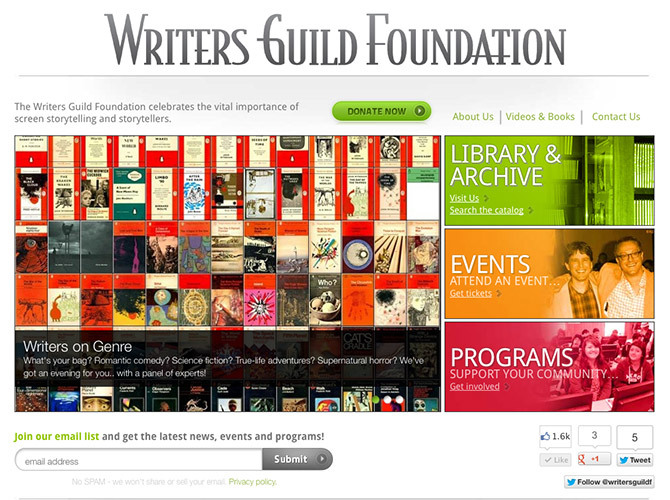 – integrated access to the libraries online archive which is housed in a separate database.